The Breast Cancer Association Consortium (BCAC) is a forum of investigators interested in the inherited risk of breast cancer. 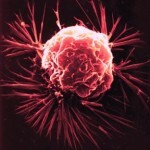 Many groups are conducting studies with the aim of identifying genes that may be related to the risk of breast cancer. The aim of the consortium is to combine data from many studies, and to provide a reliable assessment of the risks associated with these genes. BCAC is an international multidisciplinary consortium, formed in April 2005. The consortium holds meetings 1-2 times per year and has successfully worked together and produced numerous publications. Each study has submitted information about its study subjects including demographics, clinical data and key epidemiological risk factors. BCAC cannot provide advice or information on breast cancer to individuals or members of the public. Information on breast cancer is available on the Cancer Research UK website. Coordination of BCAC is through the University of Cambridge and is funded by Cancer Research UK (CRUK). EU FP7 Grant – Project Title: Collaborative Oncological Gene-environment Study (COGS). Genome Canada Grant – Project Title: PERSPECTIVE. Horizon 2020 Grants: B-CAST – Project Title: Breast CAncer STratification and BRIDGES – Project Title: Breast cancer RIsk after Diagnostic GEne Sequencing.